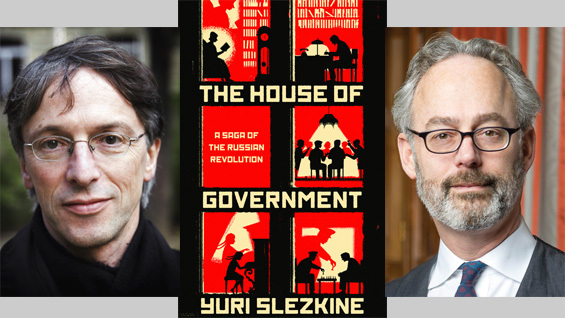 In a free, public event, Yuri Slezkine, author of The House of Government (2017, Princeton University Press) speaks with novelist Amor Towles. Yuri Slezkine is the Jane K. Sather Professor of History at the University of California, Berkeley. His books include The Jewish Century, which won the National Jewish Book Award. Amor Towles' first novel, Rules of Civility, published in 2011, was a New York Times bestseller and was named by The Wall Street Journal as one of the best books of 2011. His second novel, A Gentleman in Moscow, published in 2016, was also a New York Times bestseller. Registration is requested; RSVP here.